2018 has been an exciting year for Neudorff from receiving one of the highest industry accolades to renaming some of its best-selling products. The company’s VineWeevilFree nematodes received the coveted GIMA Sword of Excellence and ‘best new product’ at the 2018 industry awards, with the judges describing it as ‘a product that says great things about ecological gardening’. VineWeevilFree is one of three nematode products launched by Neudorff for the 2018 season, the range is the first of its kind in the UK to not require refrigeration, allowing it to be sold in store, straight from the shelf. In addition, a number of Neudorff’s bestselling products have been renamed with the introduction of two new and more recognisable product families for 2019. 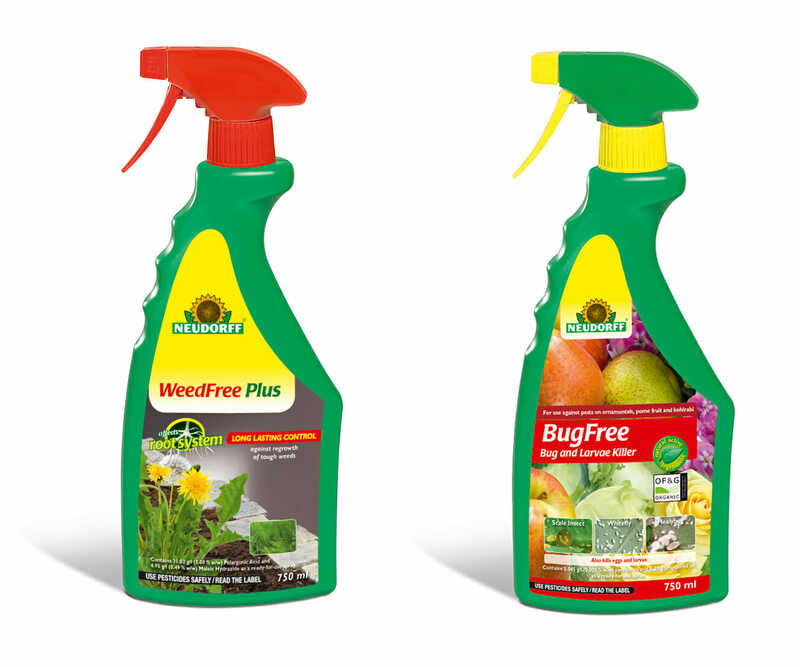 The Pyrol Bug & Larvae Killer range will now be known as BugFree, and the glyphosate-free Weedkiller range will come under the WeedFree sub-brand. Reflecting on 2018 Neudorff sales director, Jude Beharall said; “The Neudorff brand has gone from strength to strength in the past few years, placing us in the perfect position to rename our key products, creating consistency throughout the range. For more information visit www.neudorff-trade.co.uk or call 0121 767 1821.